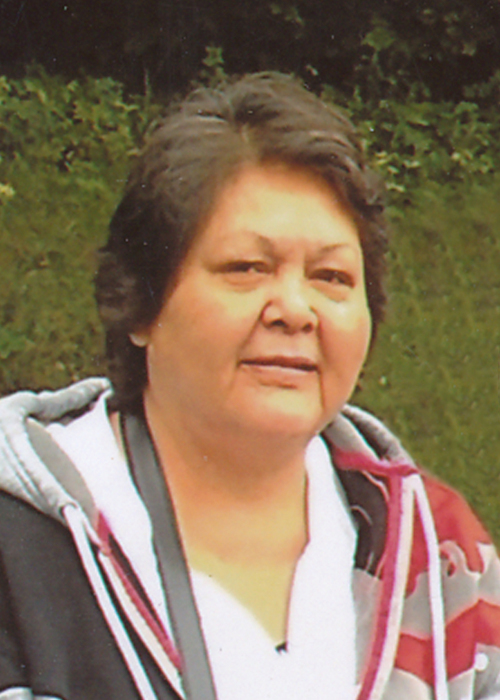 Lorraine Jean Myerion passed away at the age of 64 years old on April 9, 2019. She will be sadly missed by her children, Leslie, Deanna (Frank), Gregory and Michelle. Her lifelong partner Joe will forever hold a special place in his heart for her. Lorraine was predeceased by her mother Annie Myerion, father Harry Myerion, brothers Dauphin, Robert, Mervin, Harry Junior, sisters Evelyn, Gladys and Jean. Lorraine had a very kind heart in that she treated others with a deep respect. Because of that, she leaves behind many friends who will miss her dearly. She will be missed dearly by her sisters Elizabeth and Dianne Hudson. She leaves behind her brothers Calvin, Glen and Harold. On her last days her sister Elizabeth was her caregiver while she was not doing well health wise. She leaves behind many nieces and nephews too numerous to mention who will forever have a void in their hearts for her. Lorraine, you were one-of-a-kind and know that you will not only be missed but loved by those you leave behind. Rest in peace until we meet again someday in the Great Beyond. Wake will take place on Friday, April 12, 2019 at 4:00 pm at the Long Plain Spirit Lodge. Traditional wake and service will be held on Saturday, April 13, 2019 beginning at noon at the Long Plain Spirit Lodge. Burial will take place at the Dauphin Myerion Cemetery.